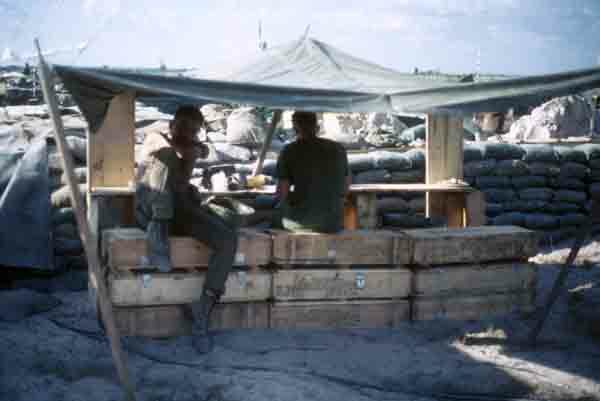 The Vietnam sun was brutal and on a clear day temperatures could exceed 105 F. These men are living the good life; being outside the bunker and in the shade. The bunker smell varied from wet canvas to hot canvas with various soil odors and the smell of unwashed people mixed in. Shade helped but Tay Ninh was hot even in the shade. The best shade available were the conical hats worn by Vietnamese. Of course none of us would wear one.